The latest wave of Android smartphones are tussling to prove themselves as the go-to choice for aspiring photographers. Whether it’s the Samsung Galaxy S4 Zoom, Sony Xperia Z1 or HTC One, the story this year is all about new and improved cameras. Regardless of what Android device you’re using though, you’ll want a trusted toolbox of apps to get the most out of your shots. Now, after detailing our top picks for the iPhone, we’re back with an essential guide to the very best Android photography apps. The act of taking a photo is just as important (if not more so) as the editing you do afterwards. The perfect exposure, framing and focusing will produce a better raw image that is then easier to spruce up in post-production. Get it right first time and in many cases, it’ll already be perfect for sharing on the Web. Choosing a decent camera app is therefore your top priority. 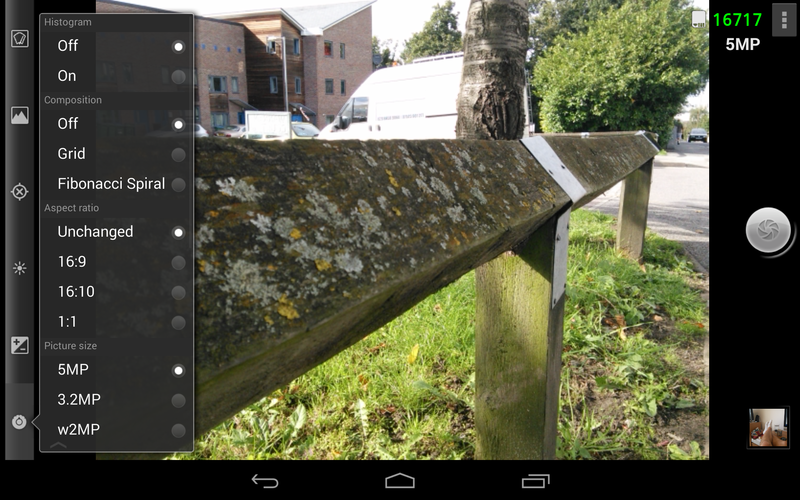 ProCapture ensures you can always access your most frequently used camera settings with a single tap. In landscape mode, they’re accessed with six small icons on the left-hand side of the screen which you can select easily with your thumb. Tap and hold to scroll through all of the available options, before lifting your finger to confirm a selection. Nothing is buried within confusing menus or sub-menus. It’s fast, responsive and everything is located where you would expect. Timers, burst mode, white balance adjustments, it’s all here. You can also bring up a real-time histogram or display overlays such as a Fibonacci Spiral, as well as set the exposure compensation with numbered (and therefore easily replicated) adjustments. 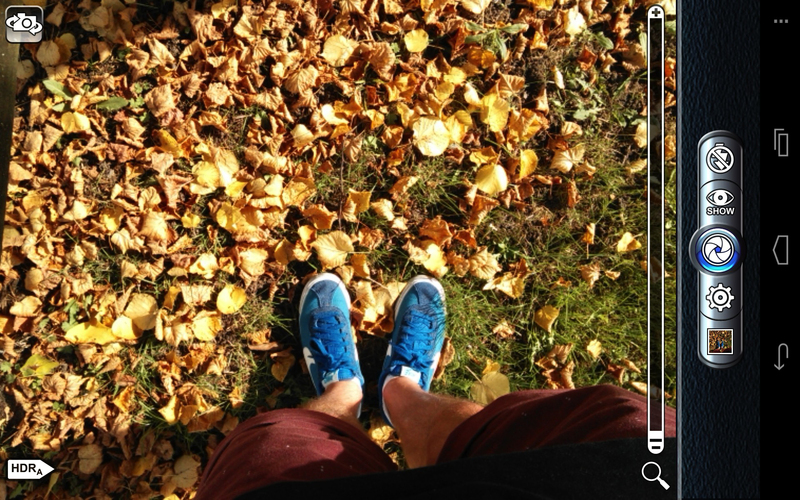 Similar to ProCapture, Camera ZOOM FX is all about taking better photos. The app’s interface is less intuitive – you’ll need to dig a little bit to change the white balance and scene mode – but it’s a perfect entry point for beginners and offers a couple of extra shooting modes, such as Time Lapse and Collage. Experienced photographers will appreciate the option to manually set the action for each gesture and hardware button. It’s a godsend if you miss the physical shutter button from your DSLR or point-and-shoot camera, or just want some custom shortcuts for particular modes and settings. High dynamic range (HDR) is a contentious part of photography, given that many see it as a technique for creating surreal, unrealistic images with bright and frequently harsh colors. Pro HDR Camera is particularly useful for Android users though because it can help a sub-standard smartphone camera produce photos with a near-perfect blend of shadows and highlights. The app shoots a series of different images and then merges them together, thereby creating a superior image. Pro HDR Camera is easy to use and once you’re done shooting, gives you the option to tinker with the brightness, contrast, saturation and more. Perfect for avoiding blown-out skylines or incredibly dark night-time shots. Applying artistic filters and making small adjustments to the contrast, brightness and color temperature has become a huge part of smartphone photography. 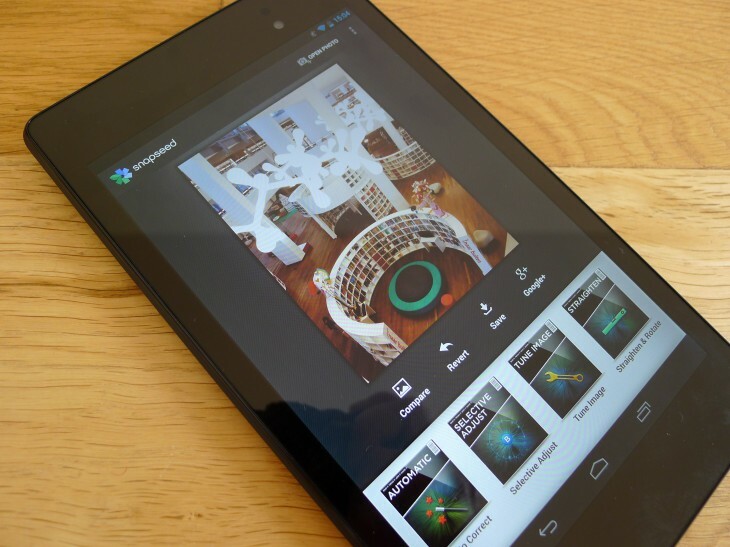 In the past, many of these features were only obtainable through expensive desktop apps such as Aperture and Adobe Photoshop – but now they’re available to anyone with an Android device. There are plenty of apps in the Google Play Store focusing on one specific tool or effect, but we’ve chosen to highlight the best photo-editing apps that offer all of these features in a single package. If you’re only going to download one app from this list, make it Snapseed. This Google-owned photo-editing app is well-designed and offers a seemingly endless number of filters and tools for tuning up your images. It takes a little while to grasp the gestures inherent to Snapseed’s controls. Tap and slide your finger vertically to select an editing tool before swiping left and right to adjust the severity of the effect. You’ll never look back. Many professional photographers still swear by Adobe Photoshop for its expansive RAW file support and powerful photo-editing tools. A companion app is available for Android, bringing over the majority of these features at a fraction of the price. The initial menu and folder system can be a little archaic, relying on visual cues established in its desktop app. 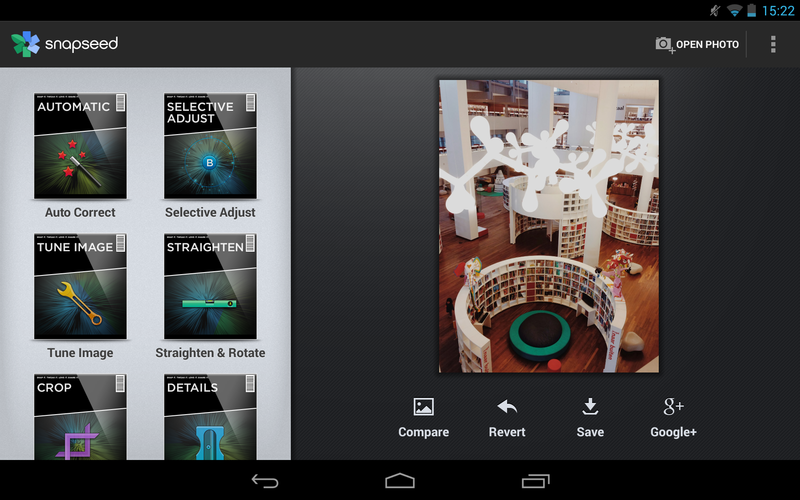 Dig deeper though and you’ll find a powerful suite of photo-editing tools that go above and beyond Snapseed and Aviary. Noise reduction, color balance, the ability to select, cut and paste specific parts of the image; it’s not the easiest app to use, but it’s definitely the most fully featured. Aviary encourages other developers to use its customizable photo editor in their app or website, but that doesn’t mean its own app isn’t worth checking out on your Android device. It’s packed with beautiful filters and light-hearted stickers, alongside the option to expand your collection with free and paid-for booster packs. The ability to create your own memes is a standout feature and there’s also an array of brightness, contrast, saturation and sharpness tools if you’re seeking a more professional look. Smartphones have revolutionized photography by drastically cutting down the time spent between shooting an image and sharing it with the world. Capturing a great photo is one challenge, but choosing the best place to share it is another. We’ve omitted some of the obvious social networks such as Twitter and Facebook, as well as common messaging apps such as Snapchat, WhatsApp or Google Hangouts. 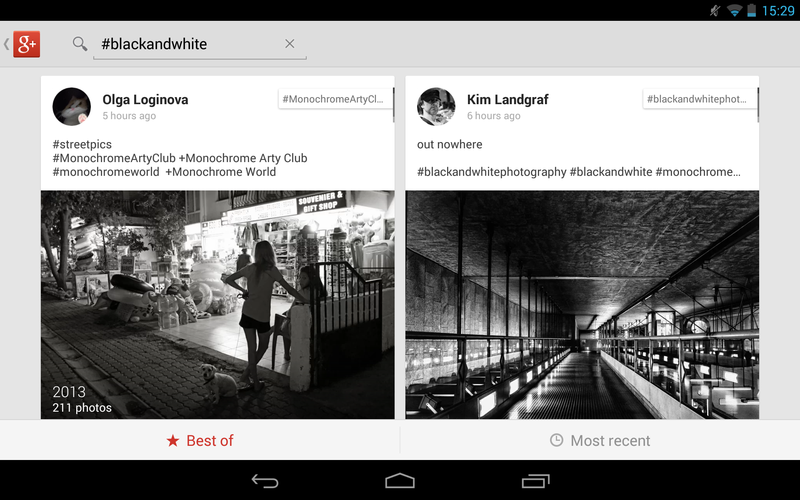 Instead, these are some of our favorite photo-centric communities on the Web. Google+ is designed to be the social glue for all of Google’s products, but above all else it excels as a photography platform. 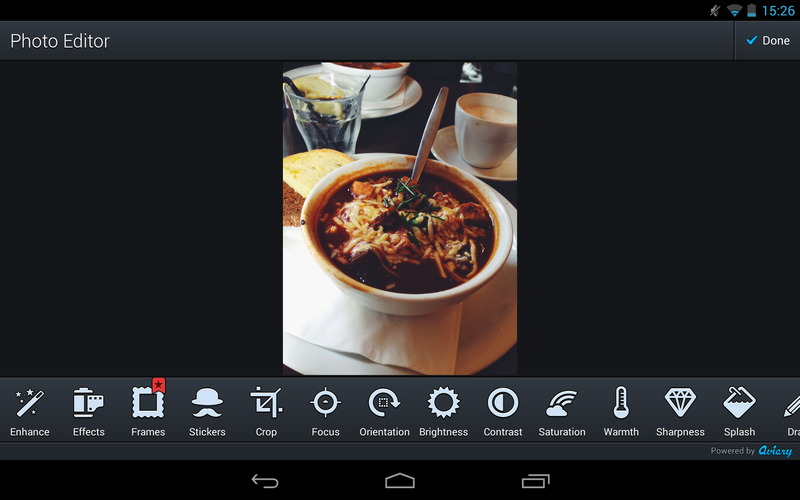 The app can be set up so that all of your photos are stored there automatically, and both the Web and mobile incarnation offer built-in photo-editing options courtesy of the aforementioned Snapseed. Files are stored in their original resolution and the viewing experience, both for individual photos and galleries is a real joy. Google+ already boasts a thriving community of photographers, so you’re almost guaranteed to get some nice feedback if you share your images with some popular (and appropriate) hash-tags. In truth, this behemoth of an app could feature in all three of our chosen categories. It does it all. Nevertheless, its most notable impact for serious photographers has been as a sharing platform. The uncluttered interface and square-crop images are unique, but more importantly it has a huge userbase that check the app once, twice, or multiple times each day. That means there’s a higher chance of receiving some likes and comments on your photos, as well as some new followers along the way. Flickr is back. The professional photo-sharing platform looked down and out for a little while, but Yahoo CEO Marissa Mayer has managed to save it from antiquity. The Android app is yet to receive the new customizable filters and pro editing tools found in the iOS version, but it’s still a competent means of uploading your images. The expandable sidebar offers quick access to your profile, notifications and contacts, and the search tool can refine results by people, groups or uploads. Flickr is often seen as a serious platform for photographers, which is a double-edged sword – while it can be off-putting for new users, it also helps to maintain a high calibre of talent, groups and feedback. Have we missed anything? As always, sound off in the comments below!